Iphones are a good thing indeed. Though I always screw something up on my I love it. P.S. I have some kind of strange affecton to Christmas decorations. While you’re there, can you pop into Primark for me? Nice to see your face pop in here. Your iphone does not seem to dislike you. X-mas? Well, Sinterklaas is first making its rounds here, after that it is Santa’s turn. The lights can be kinda nice. Despite the weather (snow would be way nicer). I’ve never been on a open top bus before, mostly because we just don’t have to many of those here in the states. It must be cold. In picture 2, do I notice the welcome return of the special leather magician’s mittens? Mind you, I’m pretty sure that’s what the tour guides usually do when they’re bored! Theres something funny about that second photo. Looks edited on the right hand side. agree with michelle, this damn coast is just too sweet, really attractive! cant imagine what it costs, when db pulled winnings at pokertable and said, now i have money for new suit. phil, I think it looks like someone walking past and that is the blur of their arm? Not sure. Either that or Derren was making someone invisible from the waist down 😉 – Equally possible! Great idea. I think riding the bus all year should help with the crisis. lol, well if he wasnt rich do you think you would still think he was as charming? Ah but for a preview of this new effect that we shall have to wait for about a year to see. Actually, what I’m really waiting for is for the release of “Mind Reader – An Evening of Wonders” on DVD or at least on Channel 4. Did you jailbreak your phone yet? Josh – Mind Reader will be on C4 at Christmas. And Derren is gorgeous and he is charming, its not to do with his money at all, it is his charm and wit and his down-to-earthness and friendliness that makes him so appealing, IMO. Are you going to steal Christmas and hold it ransom? Oh Mr Brown what are you up to? Posting pictures of yourself on a open top bus “apparently at work” Me thinks there must be some alterior motive to this blog!!! Looking forward to finding out what it is you are up to!! >Tried something I hope will pay off in a year or so. Could be quite exciting. I did one on those too…..
Guys (or rather, girls) – to remind you – please use the fan forums elsewhere for back and forth chatter. Many thanks. WHAT! had the ex-major of London not ask you to turn the lights on this year? Top Gear did Blackpool Illuminations! Can I just add by the way – True to your word! 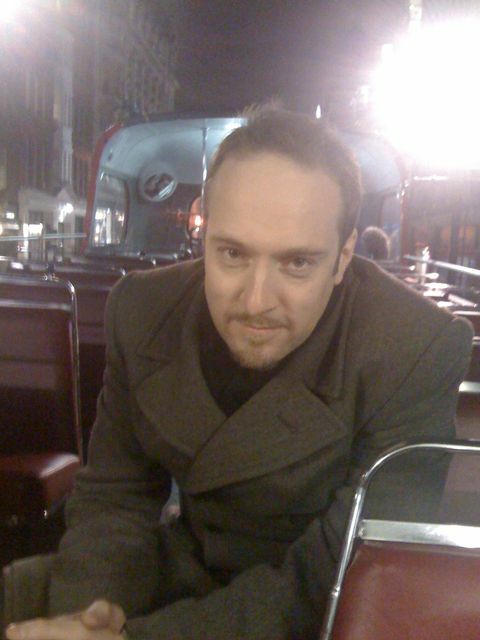 Thank you Derren for you iphoto’s, I hope you will be following this up with more Post-production or Production snipets! Everyone seems to have an Iphone nowadays, hmm. Derren, I have a question for you. How in the world would a person go about getting a hold of you? As I’m sure you know, you are an inspiration to Many including myself and I would love a chance to be able to talk/chat with you. I think it would be an interesting experience for the both of us. Brown was in Oxford in October during a very nice festival! Are you ‘on the bus’? That wasn’t Derren Brown but someone very similar doing a fab show..
Why is it photoshopped? whats photoshopped about it? is this Coops Blog? 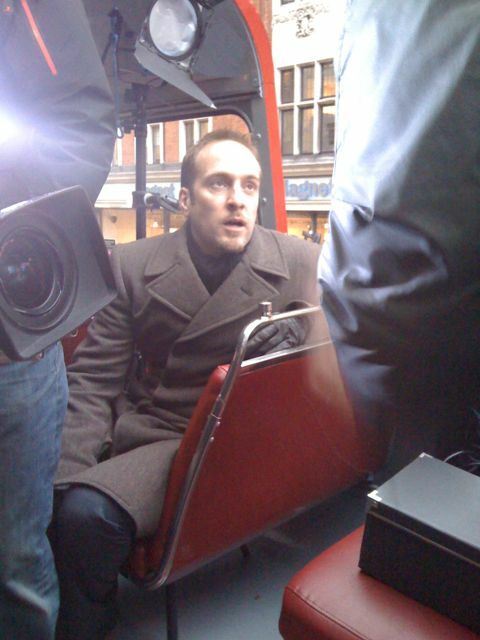 or Derren Brown Blog? google says Derren Brown Official blog for a link in here. Im confused. please help! whats the difference between this and the main site. are they linked? Bloody heavy thing it is! Derren do you drive a car? I’m curious to know what vehicle you drive? I currently drive due to bossy parents who insisted at age 35 i really should drive when i so don’t care for it and have a used Peugeot 306 Province Blue which I’m slowly (dare i say) am beginning to warm to! Only two complaints about my car from neighbors in the few months i have been driving haha Silly damn people. I read you hate house spiders and like mice SNAP. DO IT FAST AND DON’T THINK ABOUT IT!!!! he’s a my perfect man.517269436 thats my nr.your a funnest boy.im from poland and like you show;)and you of course. Has it just paid off? Is this connected to the snowflake and the lottery? I don’t have a TV (laziness rather than principle) so I didn’t hear about this until surfing this evening. However, it’s absorbed me for the last few hours reading peoples reactions and theories. I’m astounded (but unsurprised) at the amount of interest this has provoked. I’m appalled by the rudeness of many people about DB’s abilities. I’m impressed by people’s theorizing and dedication towards solving a problem. However, most of all I’m simply amazed at how one person can become so expert in his chosen field. I’m no DB fanboy (I just haven’t seen much of him beyond the odd show) but hey, this guy is incredible. His head will be held high in in the history books of magic and popular entertainment. Well done, DB. I’m wondering if this has anything to do with the live advert on ITV about an hour ago, where Derren raises up a Christmas star right at the end…? Hmmm…. Have i woken up on another planet?! Nope, just another time zone. Is it just that I have gone a little mad but… can anyone else see the reflection in the mirror at the back of the bus in the first picture that I can see?? ?